Simon Koene. Een grafisch oeuvre / Simon Koene. A graphical oeuvre. Prominent in Dutch contemporary printmaking are a number of artists who share an interest in what has been called lyrical realism. The stillness and intense concentration of their nature studies imbue their prints with a lyrical quality that constitutes an entirely original interpretation of Dutch seventeeth- and early twentieth-century realist traditions. Many of these artists were united in the Haagse Etsclub (etching society of The Hague), a loose collaboration of sixteen etchers who issued six portfolios between 1984 and 1996. 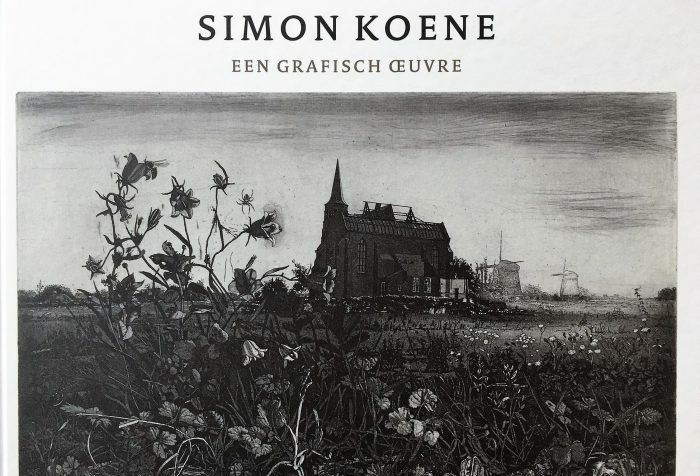 In 2015 Koene (1946), one of the founding members, was honoured with a exhibition in the Gemeentemuseum The Hague and a handsomely produced book (Eddy de Jongh, Susan Adam and Bob van den Boogert, Simon Koene: een grafisch oeuvre, monography, Gemeentemuseum The Hague, 11 July – 20 September 2015, Amsterdam, Hercules Segers Stichting and Varik, De Weideblik, 2015, 128 pp., 148 ills., €29.50). The catalogue opens with a short but sophisticated introduction by Eddy de Jongh and a insightful account of Koenes involvement in the Haagse etsclub by Susan Adam. Six sections on ‘People and Narratives’, ‘Dutch Nature’, ‘Mediterranean Scenes’, Hills and Valleys’, ‘Wildlife’ and ‘Rembrandt’follow, each with truly outstanding illustrations and a brief introduction. The book ends with a brief biografy. Simon Koene. Een grafisch oeuvre is a joint publication of the Hercules Segers Foundation and publishing company De Weideblik and appeared at the museum overview of Koene’s graphic oeuvre in the Gemeentemuseum The Hague in 2015. Prof. dr. Eddy de Jongh is emeritus professor of art history at Utrecht University. He published a very large number of books, exhibition catalogs and journal articles. Drs. Susan Adam is curator at the Gemeentemuseum Den Haag. She is author of the monograph Dirk van Gelder 1907-1990. Artist and versatile graphic artist, who appeared at the exhibition dedicated to this artist in the Gemeentemuseum. Dr. Bob van den Boogert (editor) was head curator for fifteen years at the Rembrandt House Museum. Among other things, he provided a large number of publications at exhibitions.